Talking with somebody who is pursuing recovery from addiction requires gentleness and understanding at all times, and particularly during the first year of sobriety. It can be difficult to withhold burning questions or opinions, but it is important to think before you speak and to remain compassionate. Below is a list of things to avoid saying to a newly recovering addict, and suggestions for what you can say instead. Recovery is a lifelong journey, and if recovering addicts have found that attending meetings or group therapy helps them maintain their sobriety, then they should continue to go. Understand that recovery does not have an ‘end’ date; it must be continually worked on to succeed. Acknowledge that your friends or loved ones have found a community of people with whom they can share experiences and thoughts without fear of judgment, and reaffirm that their continued engagement with that community is good for them. Asking those in recovery if they are certain they actually have a problem can create devastating anxiety, sadness, or anger, and could possibly undo some of the hard work they have done to accept their addiction and work on it. Showing compassionate interest in understanding what a recovering addict is going through will help support him or her in the decision to pursue sobriety. You cannot really know the struggle an addict goes through to pursue recovery unless you have actually gone through it yourself. Even then, your experience in addiction recovery might have been very different from what your friend is experiencing. Telling recovering addicts you know exactly how they feel can end up minimizing their personal experience and make them feel as though their efforts are not as heroic as they really are. Providing support and offering comfort are the most important things you can do for a recovering addict. Become a part of their support network by learning more about their addiction, going with them to meetings or making plans with them that do not involve drugs or alcohol. Reminding recovering addicts that they used to use drugs or alcohol to have fun is not helpful to their commitment to remain sober. Drugs and alcohol are not necessary to be comfortable and have fun in a social setting. As a side note, if you feel that you need these substances to enjoy yourself, perhaps you may need to look more closely at your own relationship with drugs and alcohol. Making plans to do sober activities with friends in recovery and following through on those plans is one of the best ways you can help them achieve long-term sobriety. Go to a movie, get out for a hike, or learn a new skill together. Your participation in their new, sober lifestyle with them will give them support and help them realize even more that they do not need drugs or alcohol to have a good time. The main thing when interacting with somebody in recovery is to treat him or her as a normal person—because he or she is! Try to be sensitive to the situation, offer compassion and support, and be ready to walk with your friend on a lifelong journey. 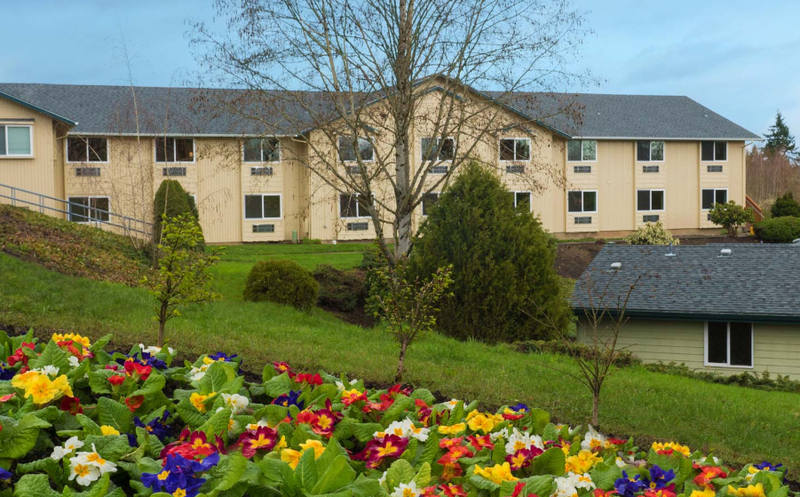 If you or any of your loved ones are struggling with addiction in Washington State and you are looking for information, Recovery Village Ridgefield is here to help. We offer individualized treatment plans that are tailored to your needs, and our professional staff is ready to assist you on your journey toward wellness. Contact us today for a confidential conversation about your options.